Lisson Gallery is pleased to announce representation of the Leon Polk Smith Foundation in cooperation with Washburn Gallery. The gallery will present a solo exhibition of works by the artist 8 September to 21 October in New York. The presentation will feature a selection of paintings and works on paper from the 1960s and early 1970s, most of which have never before been displayed. To accompany the exhibition, Lisson Gallery will produce a catalogue featuring an essay by the poet and critic John Yau, as well as previously unpublished archival material. 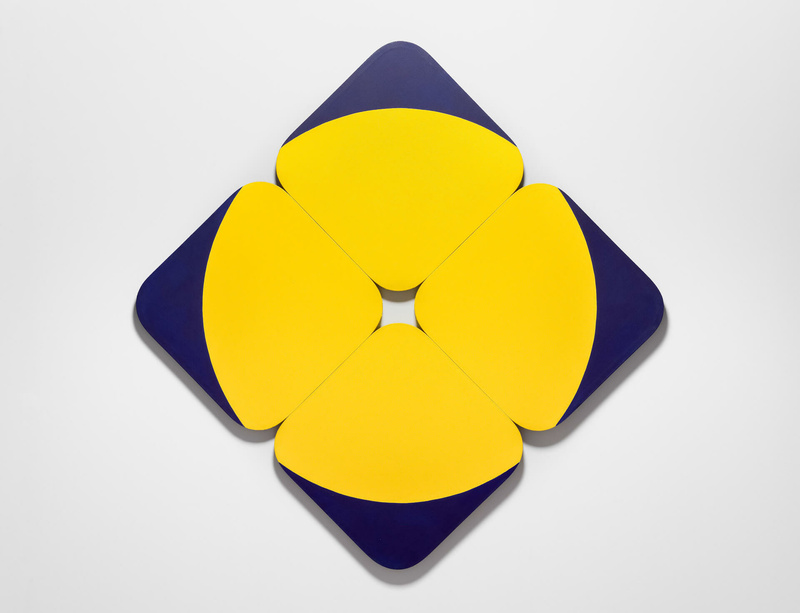 Considered one of the founders of the hard-edge style of minimalist art, Leon Polk Smith rose to prominence in the late 1950s and early 1960s with his distinctive shaped canvas series — the Correspondences. These large canvases typically consist of two vibrantly-coloured painted shapes defined by a precise but often irregular contour. While Minimalist peers of his during that time were shifting away from Modernism and rejecting relationality, Smith was wholeheartedly advancing the formal and rational elements of the Modernist tradition. The Leon Polk Smith Foundation was established by the artist and has been active since Smith's death in 1996 at the age of ninety. Its mission is to preserve and promote Smith's art and legacy. More information on Leon Polk Smith can be found at the foundation's website, leonpolksmithfoundation.org.